Prada aesthetics is one thing that keeps the buzz alive in the bagaholic world and most of their bags have become a style staple among celebrities alike. With a long line of ‘It’ bags in the Prada line, it won’t come as a surprise when the Prada Etiquette Bag become the next trending item. This Prada Etiquette Bag is uniquely fresh and very raw in a good way. It’s hard not to take a good look at its principal highlight especially if it comes in a contrasting blue etiquette logo on leather. Aside from this, we are also crazy about its luxurious calf leather material paired with Pewter-finish metal hardware for an edgy look. But you know what’s edgier? That would it the metal stud trim adorned around the edges of the flap which made it all the more exquisitely gorgeous. With the perfect fusion of fashion and functionality, this Prada Etiquette Bag also features a detachable adjustable leather handle and a detachable and adjustable leather shoulder strap for easy transitioning. 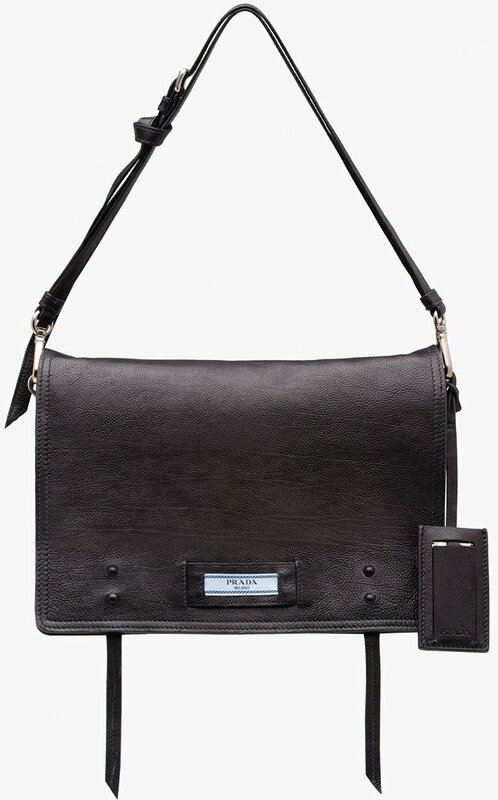 It also boasts of a magnetic button closure for effortless access and a name tag to boot. Looking inside, it offers two inside pockets, including one with zipper closure and one with flap to keep your essentials organized and safe. 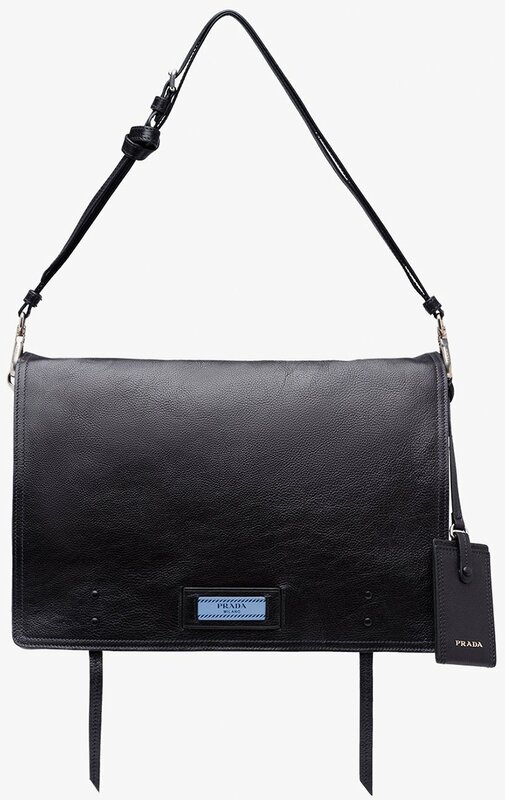 The shoulder bag version measures 9” x 5.9” x 3.9” (L x H x W) inches and is priced at $2280 USD, € 1850 euro, £1590 GBP, $2850 CAD, ¥296100 JPY via Prada boutiques. 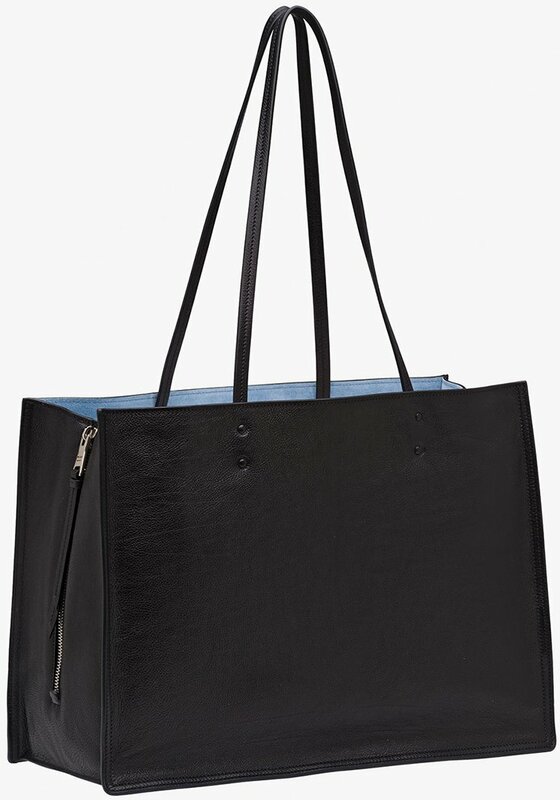 The tote bag version are measuring 14.9′ x 11′ x 5.9′ (L x H x W) inches, priced at $2100 USD, € 1700 euro, £1460 GBP, $2620 CAD, ¥248400 JPY. If you combine pink and flowers what exactly will you get? Well, two words to describe it: Beyond Pretty! The Prada Flower Wicker Basket is such one thing! This is a perfect summer best friend which has a mood-elevating power with its pretty in pink and flower power designs! This pink wicker basket is the truest definition of girly and feminine all combined into one! It has been beautifully crafted in Italy and comes with large dimensional pink flowers. Take it with you as you go to the beach or just pair it with your flirty white dress and you’ll definitely catch the attention of onlookers. It’s that cute that people wouldn’t have a hard time to notice. There is also a zipped top closure to keep your valuables and other essentials safe and sound, a detachable shoulder strap for shoulder or cross body carrying and top handles for easy hand carrying. A new and equally beautiful Prada bag, a Prada lady will surely be proud wearing it on her hands as she sashays her way through the busy streets of New York, Los Angeles, London, Paris and other metropolitan cities in the world. Ladies, this is the Gardener’s Bag. Taking its inspiration from a garden, this bag features Hawaii motif leather and metal appliques that make it hard to resist. 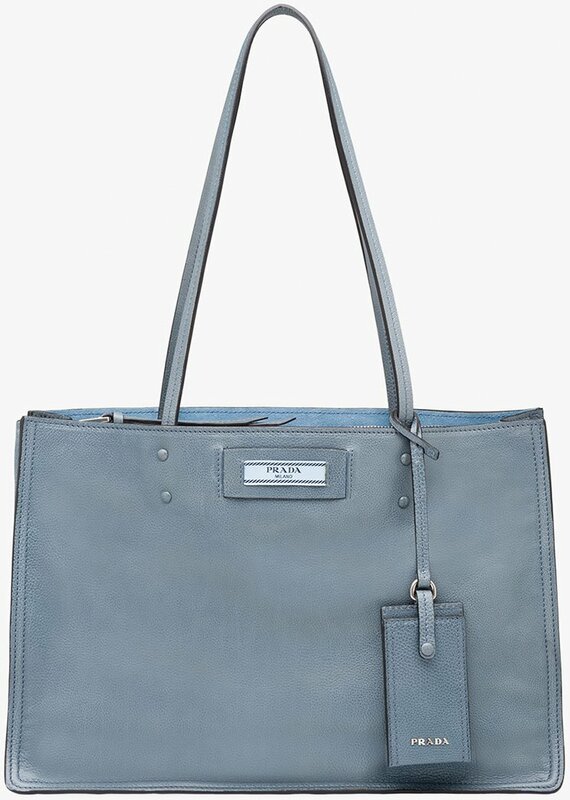 It also has double fabric handle and a detachable adjustable fabric shoulder strap thereby making it easier to transition from an everyday cross body bag to a lovely evening handbag. The enamel triangle Prada logo is one shouldn’t miss as it is strategically located in front. It has snap closure on sides, two inside pockets, including one with zipper closure. 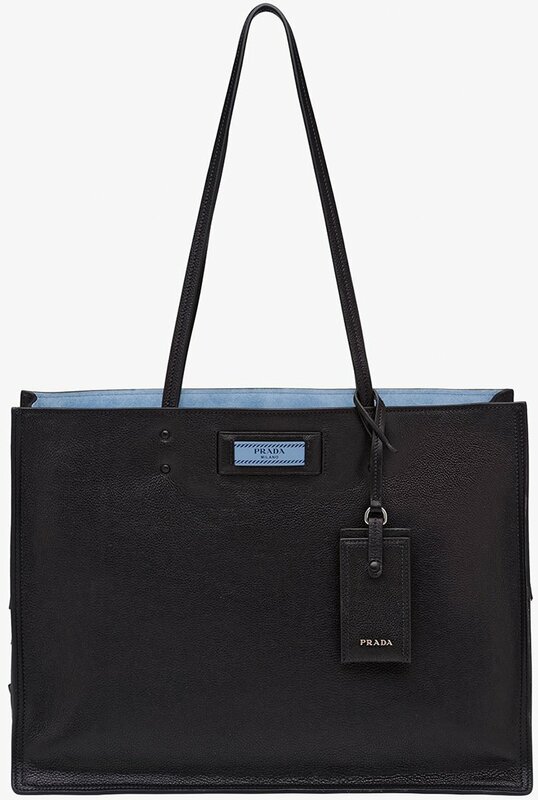 It measures 28 x 20 x 15 (L x H x W) cm and is priced $1220 USD or €1100 euro via Prada e-store. 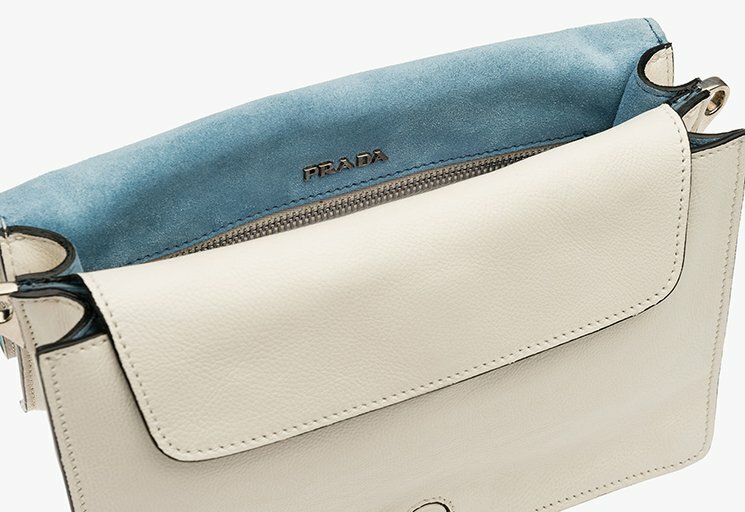 The Prada Pionniere Bag is redefining what a luxury bag can do and it sure looks like it will be owning the competitive bag scene for quite sometime for it’s absolutely classy and fashion-forward at the same time, perfect for those who’d like to explore and get out of their usual daily bag routines. Break monotony and be extra stylish and glam with this bag that looks pure sophistication in all its angles. Yes, it’s that time of the year to just jump ahead and take a plunge, and why not start it by setting your heart into trying new things, such as owning this luxurious Prada Pionniere Bag? 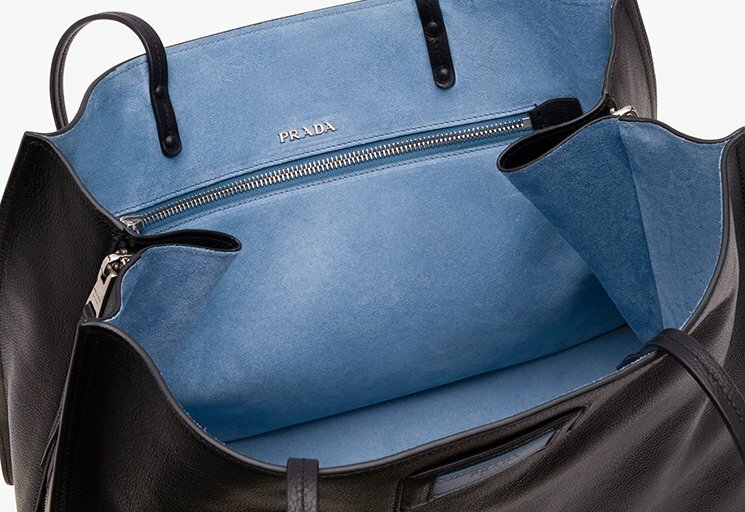 We couldn’t help but feel overwhelming happiness upon seeing this Prada beauty since it features genuine calf leather. 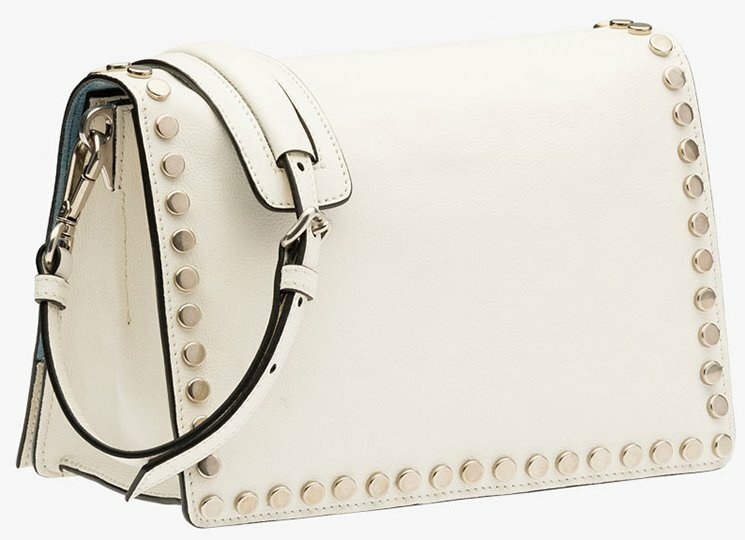 And oh, it also comes in several colors including a pure white bag and a black bag that comes with a white metal-studded strap. 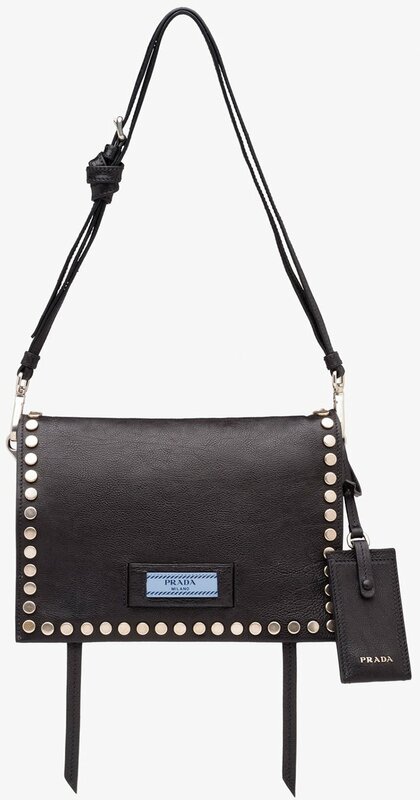 It has a detachable and adjustable shoulder strap embellished with metal studs thus making it easier for you to wear it over your shoulders or cross-body, whichever suits you best. The metal lettering logo in front is also another eye candy! Measuring 20 x 15.5 x 5 (L x H x W) in cm and is priced €1750 euro via Prada boutiques. After bag charms and those long strips of printed silk (every brand calls theirs differently, so I’m just being PC and referring to them as ‘long strips of printed silk’), here’s a third bag-accessorising trend that’s definitely here to stay. Yes, no marks awarded for guessing what it is, especially after that other Italian luxury house launched them to great success last year. Yes, it’s the shoulder strap, which like bag charms and those long strips of printed silk (I’m sorry), are now offered for sale individually as well. Simply known as the Shoulder Straps collection, you’ll find these from Prada in stores from mid-July 2016, and besides being available in various thicknesses in different types of leather (there’s Saffiano leather, classic calfskin and something I’m not familiar with called Nastro leather), come embellished with a variety of 3D flowers as well. Made up of everything from crystals and plexiglass to resin and leather, you’ll just need to decide which strap will go best with your Prada bag, be it the Double or the Galleria, just to name a couple. Or just pick up a new Prada bag and then a strap since both are sold separately, which also means you just need to head to your nearest boutique for a full look at what’s available locally now. Still not convinced that this trend is here to stay? Well, besides the aforementioned Italian brand and Prada, there’s another Italian brand offering leather straps that are to be sold separately as well (hint: one of their designers just left for a French luxury label), as well as a French luxury house who you could consider a sister label of the French label I just mentioned that the designer is leaving for. In other words, look out for more updates soon. Hey ladies, what do you think of this bag? If you’re at a loss for words, worry not for words might not be enough to capture the beauty and wonders of this bag. This is the Prada Perforated Tote Bag for the summer. A summer must-have, you can see that it has tiny holes in it and it features the beautiful Prada logo on the top, a really lady-like bag. For summer girls, this might be your newest summer buddy for it is perfect to take with you as you take a leisurely walk on the beach, lie down in the sand and read a book as you work hard on getting a tan. And hey, this tote bag can hold all your summer essentials such as your towel, wide brimmed hat, sunglasses, and sunblock among others. There are no details yet as to the size, colors and prices but we’ll keep you updated once the cat is out of the bag.